We're having wild, wet, windy autumn weather. 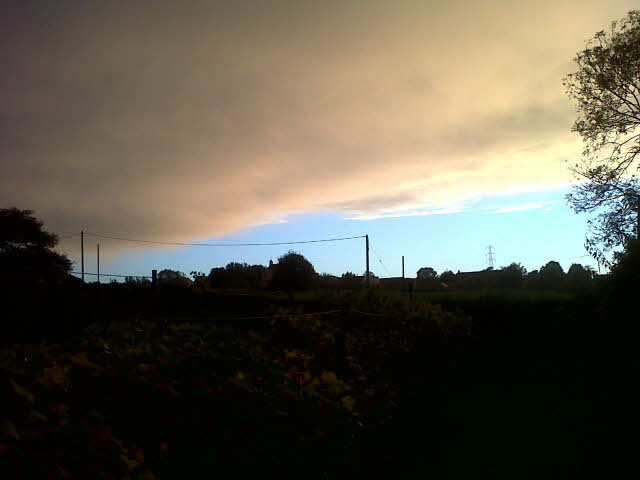 On Saturday we had a fantastic storm. 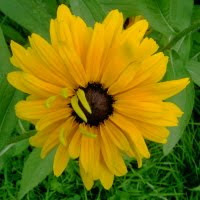 The sky was yellow and the colours in the garden were very strange. 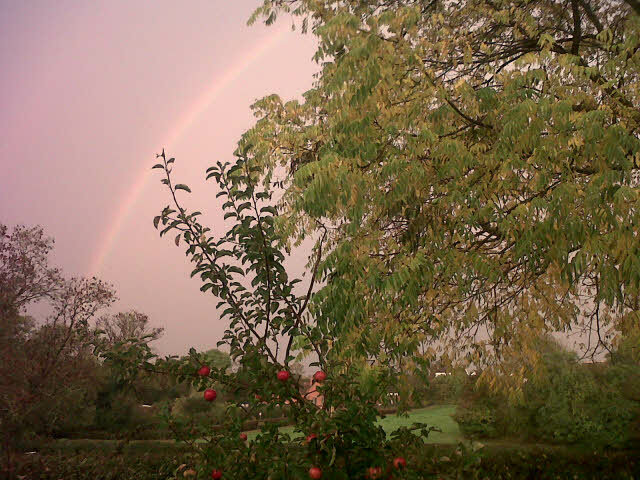 The sun was shining on the yellow leaves of the walnut tree while the rain was hammering on the conservatory roof and a big rainbow arced over the whole garden. So I had to run out and take some shots and got very wet! 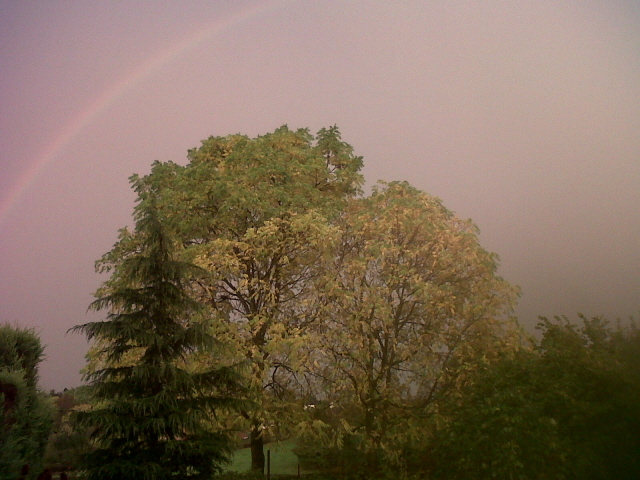 Rainbow with our little apple tree - still hanging onto its red fruit. The garden is still producing a great harvest. We picked more than 50 lbs of Russet apples - lovely golden-yellow apples with a sharp but sweet taste. There's still loads of squashes and courgettes and the late raspberries are just staring to ripen. This evening we had a meal where about the only thing bought from the shops was the leg of pork. I rubbed the fatty skin with salt and fennel seeds saved from last year. We had potatoes (Setanta - which are great roasters but fall apart when boiled) roasted with one of the oddball squashes that came from seeds saved from a shop-bought butterbut squash and the last of the french beans. Instead of apple sauce with the pork we had Crab Apple Jelly with rosemary - very tasty. To follow I made baked apples with the Russet apples. Buttered a baking dish. Cored the apples (2 per person) leaving the skins on, and placed them in the dish. Mixed up sultanas, chopped walnuts and demerara sugar with some orange juice and filled the centre of each apple. Some falls out the bottom but it all gets sticky & gooey anyway. Cook in fan oven 160 C for 30-40 mins.